The Indie film BOSES (Voice) will have a special screening in New York to be held on May 1. This indie film was one of the most popular and successful entries of the 2008 Cinemalaya Philippine Independent Film Festival. (According to the synopsis of the film) Boses is about the redemption of the human spirit and the healing power of music. Onyok (Julian Duque), a child made mute by abuse at the hands of his own father, is sent to a shelter for abused children where he is cared for by social workers. Nothing seems to work for Onyok until he meets Ariel (Coke Bolipata), who is haunted by grief and guilt over the death of his girlfriend. The reclusive violin teacher discovers that Onyok is a gifted child. Together they battle their demons until they regain their voice, rediscover their spirit and realize that forgiveness is within their reach. The film's cast includes Ricky Davao, Cherry Pie Picache, Meryll Soriano, and Julliard-trained violinist Coke Bolipata and his student, Julian Duque, a child violin prodigy. This screening is a project of the Assumption Alumni Association, the four-hour event will take place on Friday, May 1, 2009, 6 pm at Saint Paul the Apostle Church Hall, Columbus Ave. & W. 60th Street (near Lincoln Center) in Manhattan. Aside from the film screening, there will be a musical concert featuring Ricky Davao and a chance to talk with the actor and Ellen Ongkeko-Marfil, director of Boses and an alumna of Assumption. This film has been endorsed in the Philippines by the United Nations Children's Fund (UNICEF) and the Catholic Education Board. Its first international screening was conducted during the 2008 Louis Vuitton Hawaii International Film Festival. As reported by The Philippine Entertainment Portal, the proceeds of the film will benefit Daang-Sine, a creative group focused on educating and creating awareness on social issues through film, and various organizations in the Philippines working to stop violence against children. Dragonball Evolution- Should I or Should I Not Watch It? Since it's release, Dragonball: Evolution has recieved mixed critical reception. Zac Bertschy of Anime News Network, originally disgusted at otaku who decried the film via leaked set shots and trailers before the movie's release, gave the movie an overall failing grade and stated "the fans were right." 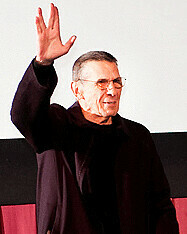 He criticized the film's lack of explaining plot elements, its hackneyed storyline and lackluster effort by the actors. Variety's Russell Edwards found the film "passable", noting it "doesn't take itself too seriously, but avoids campiness." Luke Thompson of E! Online referred to the film as a "surreal mess" that would only make sense to fans of the original series. He questioned the use of a Caucasian in the main role and felt Chow Yun-Fat was "overacting like never before", but did consider it "fun in a train-wreck kind of way" and that while it was never "logical, coherent, rational" it was also boring. Christoper Monfette of IGN gave the film a favorable review, stating that it "is perhaps the most successful live-action film to date to utilize costume, production and audio design – not to mention some inspired fight choreography – to provide the flavor of anime without becoming overly cartoonish." He praised the main cast for "creating characters the audience can actually care about" and felt Chatwin was particularly likeable as Goku. Slant Magazine's Rob Humanick considered the film "uninspired" and implausible with an "aimlessly hyperactive construction and complete lack of substance" and "cobbled-together FX fakery". Reviewing the film for Australia's ABC Radio National, Jason Di Rosso stated the film was "lacking the visual panache of recent graphic novel adaptations". He agreed the film was uninspired and also felt it had dull "high school movie banter" dialog and was "cliché-ridden". Dustin Putman of TheMovieBoy.com quotes: "A few times each year, a movie comes along that makes the viewer just want to shake his or her head in disbelief at the ineptitude that has found its way to the screen. Dragonball: Evolution is amazing in its badness." A group of Trekkers in Austin on Monday had a long, prosperous night to remember at the surprise world premiere of Paramount’s new “Star Trek” film. Austin’s Alamo Drafthouse Cinema, long a destination spot for fanboys and home to the annual Fantastic Fest, had planned for a public screening of “Star Trek II: The Wrath of Khan,” which was introduced by Harry Knowles of Ain’t It Cool News, as well as Robert Orci and Alex Kurtzman, the screenwriters of the new “Trek” film, and its producer, Damon Lindelof. But as the opening credits rolled on “Khan,” scratches appeared on the print, it became warped and seemingly burned up in the projector, according to a report from the Drafthouse blog. The lights came back up, and Tim League, a founder of the cinema, told the crowd he would go try to fix the print himself. Then an unannounced guest — Leonard Nimoy himself — came to the stage with a print of the new “Star Trek” film to play instead, three hours before what was to be the film’s official premiere in Australia.